A seamless communication system is a foundation upon which the success of a business is built. Not only does it ensure that the information flow across various verticals is consistently maintained but it also helps organizations grapple with multiple networking complexities on a real-time basis. This is why it comes as no surprise that most companies, whether multi-nationals or start-ups, are continually searching for credible telephony techniques which can empower them to improve their interactions with both, businesses and customers. These techniques should not just be able to streamline communications, but they should also harbor the potential to ensure that the callers have a productive and gratifying experience. The need of the hour, therefore, is to develop a sound communication approach that can effectively blend the ideals of both, professionalism with simplicity. Call forwarding, owing to its competence and reliability is one such strategy. Commonly known as call diversion, call forwarding is a feature which helps a business to redirect their incoming calls to a different number. This could be due to multiple reasons which are discussed below. The call forwarding feature can be used in a variety of situations like unavailability of the users to receive the call, delay in call reception, an absence of network coverage or busy phone lines, or the business wanting to continue to use their publicized phone number but shift to a different operator. This system even allows a business to forward calls to multiple phones at the same time. Moreover, calls can also be routed to a voicemail with a predefined message. In other words, the primary purpose of call forwarding is to ascertain that all incoming calls are directed to the right terminus at the right time! The business call forwarding technology makes sure that an organized and coherent call flow is sustained throughout the different user groups associated with an organization. As the name itself suggests, unconditional forwarding redirects all your incoming calls to a different call destination. This means that every single call on your phone would be routed to another number, as specified by you. To use your existing number with Exotel, you have to activate Immediate Call Divert. This will divert all the calls landing on your phone number to your ExoPhone. Activation of this facility is generally free and charges are equivalent to one outgoing call, which is operator dependent. 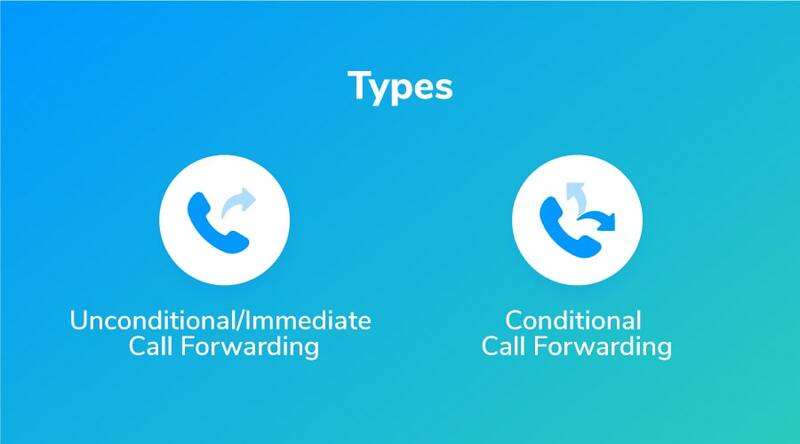 Apart from the aforementioned, there is another type of call forwarding feature which comes into operation under certain predefined circumstances. This is primarily known as conditional call forwarding. If all the phone lines are busy. If the phone remains unanswered. If the phone is out of coverage area. If the phone is switched off. Conditional forwarding can prove to be an ideal solution if you prefer the call to be answered rather than directly sending it to voicemail. Unlike unconditional forwarding, conditional call forwarding does not redirect all the incoming calls. Instead, it diverts only the ones which meet the criteria mentioned above. This is precisely why conditional forwarding is considered to be a more sophisticated and dynamic system as compared to its counterparts. Diverting calls when the call goes unanswered. With Exotel, you just need to activate the ‘immediate call divert’ option. This will immediately redirect all your calls to your ExoPhone. No charges would be incurred for the activation of this facility. However, the charges incurred for usage will be completely dependent on the operator. Airtel- Airtel provides both unconditional and conditional forwarding features at a rate that corresponds with the outgoing call rates of your plan. Vodafone- Calls can be diverted to another Vodafone number or a landline number. You won’t be charged for activation but the diverted call would be billed as a separate call. Reliance- Reliance offers the opportunity to divert calls when you are busy or not reachable. You also have the option to send unanswered calls to your voicemail. BSNL- The call forwarding facility can be activated on a BSNL number by using the ‘Menu’ tab. The charges for usage are similar to those of a voice call. Tata Docomo- Calls on Tata Docomo can be forwarded to any other number that has been registered in advance. This enables you to not miss any important calls. Following table gives the procedure and charges for major telecom operators in India. Immediate call divert (unconditional): All incoming calls are diverted to the number you choose. Call-divert-busy-divert: Calls are diverted only when you are busy on another call. Not-reachable-No-reply divert: Calls are diverted only when your mobile is off or out of coverage, if its battery is down, or if you do not reply within a specified time (say within 60 seconds). Call-divert-default: When Call Divert is activated, but the Not-reachable-No-reply feature is not activated, incoming calls will be diverted to your Voicemail box. BSNL – Dial 114 and follow it up by dialing the alternate phone number. An acceptance tone would be received. Dial 115 to confirm activation. Airtel- Dial **21* and then enter the phone number on which you want to redirect the call. A confirmation message would be soon be sent. Reliance- Dial *401 and mention the phone number on which your calls should be transferred. This code would instantly process your activation. 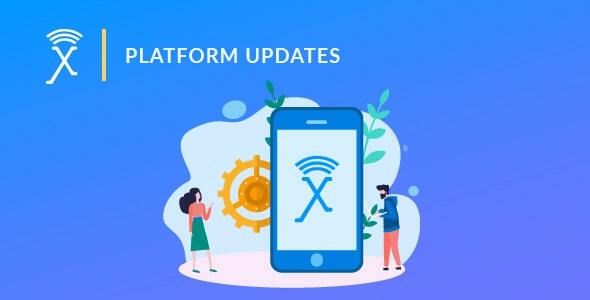 If you are using Exotel, call forwarding from ‘X’ number to your Exophone would require a careful and calibrated approach, which doesn’t just follow the steps described above but also ensures that they are executed with utmost precision. Setting up a call forwarding service for business is a relatively simple affair, provided you adopt the procedures stated by various operators, skillfully. Why does your business needs call forwarding? For a business, call forwarding can be highly advantageous. You don’t just get to forward calls to available employees but also to whole departments! Despite the size, strength or technical proficiency of an organization, the use of call forwarding can effectively streamline business communications. This can be better understood with the help of an example. For most businesspersons, giving out their personal telephone numbers to other parties is not a desirable practice. However, they have to do so because if their main business number remains unavailable, they might end up losing an important client! It is in situations like these that call forwarding service for business can help. You can give out your official number and have the calls forwarded to your number if the former remains unanswered. This way, both your needs for staying connected and maintaining privacy, can be satisfied. Similarly, call forwarding can be utilized to bring together multiple phones from geographically distant locations. For instance, let us consider that your business operates from four different cities. Even if you have a landline connection in each one of these regions, coordination within the organization and outside it can become increasingly difficult. Business call forwarding equips you to solve this issue. You can have all your customers call just one number and then reroute the call to a location of your choice. This ability to ring multiple phones with one number can aid your business in instilling a sense of operative synchronicity and transparency. At present, call forwarding service for business has developed into a reasonably standard mechanism which can be easily used to help an organization fulfill its communication objectives. It has moved much beyond being just a peripheral feature. 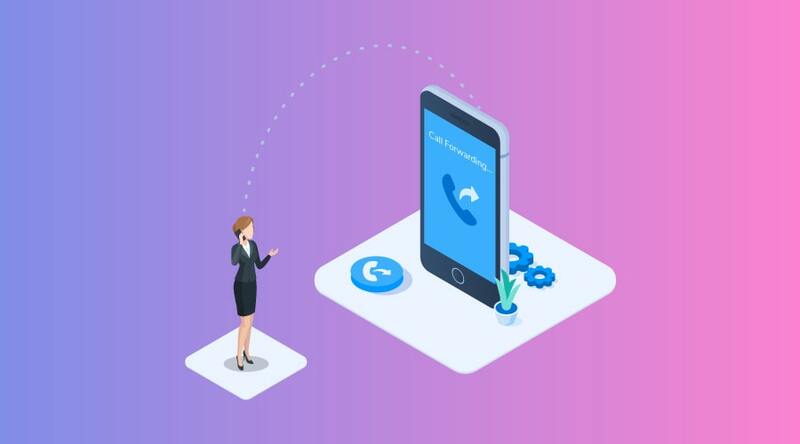 Now, it is a versatile feature which can employ tools like voicemails, auto-attendants and call forwarding to multiple phones, to empower your business for gaining a decisive edge over all its competitors. For most customers, a telephone call is the first point of contact with a business. This is why it is important to ensure that the customer finds someone to talk to. Call forwarding can ascertain that your interactions remain seamless and your productivity stays high. Business call forwarding makes your entire staff available to serve the customer’s needs at all times. Even when the personnel are not in the office, important calls can be redirected to their numbers. Because someone or the other would always be available, it becomes easier for customers to place their trust in your business. They know that they can reach out to you at any time, without any inhibitions. As you can forward calls to multiple phones, your employees do not need to restrict their everyday movement. They can move around on official and unofficial trips without hampering any aspect of their communication. If a business knows exactly how does call forwarding work, it can massively expand its reach. Multiple numbers based in different locations can be connected to one central switch, from where all toll-free calls are routed. Installing a call forwarding system is surprisingly quick and cost-effective. No wires, cabling or additional costs have to be incurred. The system can practically be installed with zero downtime. With a competent business call forwarding feature in your telephony solution, you can quite literally take a step towards ensuring customer satisfaction and business profitability! Although the success stories associated with Exotel ‘s call forwarding feature are far too many, a few leading innovators have successfully used this feature to enhance their communication capabilities. Urban ladder is a leading e-commerce platform which has been dealing in furniture and home decor items. Not only do they provide free delivery and installation services, but they are also known for doing a great job at taking care of their customers. Nonetheless, around the time of their inception, they were facing a significant hurdle. They had hired many agents in different regions who were connecting to the customers with their private phone numbers. This didn’t just compromise the agent’s privacy but also blurred the line between professional and personal. Urban Ladder approached Exotel for finding a solution. Exotel provided them with call forwarding from ‘X’ number to their Exophone. In other words, a single, customer-facing number was developed, calls on which were automatically forwarded to the different agents on their cell phones. This helped the organization fill a crucial communication gap. PrintVenue is India’s fastest growing e-commerce store that sells personalized gifts, corporate cards, stationery and the like. During its early days, while it was trying to scale up operations, the company wanted to craft a professional image and develop a deep connection with their customers. To do this, they had to ensure that they didn’t miss a single call from their customers. This is where Exotel came in. For helping PrintVenue resolve its communication issues, Exotel’s call forwarding service proved to be considerable assistance. It made sure that all inbound calls were received without fail and that the customers could be immediately connected to a staff member of their choice. This enhanced the organization’s customer support levels and enabled them to build a good brand image. The usage of business call forwarding as a medium to improve availability and reach is gaining focus. Being easy to implement and rely on, this feature has empowered many businesses to bolster their customer and client interactions. The future can bring a lot of uncertainties. To handle these, a number of communication alternatives are likely to spring up. 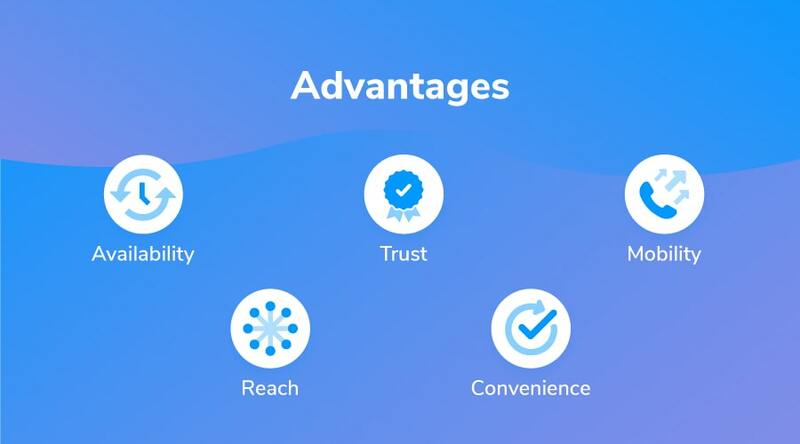 However, it is only safe and viable features like call forwarding, which will be able to help a business provide true value to its customers.